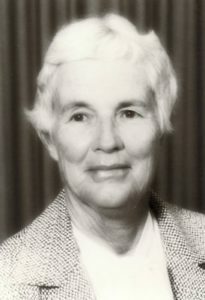 When Helen Cannon graduated from the University of Wisconsin-Madison, she began working as a teacher. However, she saved all her extra money to pay for flying lessons. She soon realized that flying was her passion, and she took a job at a local airport in South Dakota in order to get more flying time. During World War II, she enlisted in the Women Airforce Service Pilots (WASPs). Only around 1000 women were allowed to serve in this capacity, and Cannon was very conscious at the time of the gender discrimination women pilots faced. She never complained though, out of a sense of patriotism and because she treasured her time as a pilot regardless of the circumstances. While serving as a test pilot at Luke Field Air Base in Arizona, Helen met her husband, Bob. They were married in Los Angeles in 1946 and moved to Las Vegas shortly afterwards. Cannon was a community leader in Las Vegas for over sixty years. She was involved in numerous local service organizations, including the Junior League, the United Fund, and the PTA. She was also very invested in local education, serving as clerk, vice president, and then president of the Clark County School Board and president of the Nevada State School Board Association. While serving on the School Board, she oversaw the creation of the free school lunch program, the Southern Nevada Vocational School, and KLVX-TV, the local public access station. Throughout her life, she maintained an interest in her early passion, flight. In 1961, she flew in the women’s coast-to-coast air race known as the Powder Puff Derby. After a local middle school was named in her honor in 1976, she taught a principles of flight class to its students.